Regardless of the genre, every novelist faces a difficult task. Creating authentic characters and an engaging plot are challenging enough. But attempting to break into the hotter-than-ever romance genre, which is constantly flooded with new titles and fresh faces? It can feel impossible. 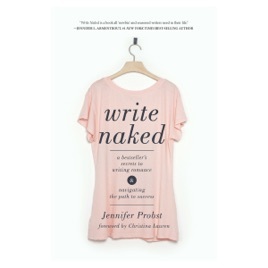 This is where Probst's Write Naked comes in. To survive - and thrive - you need the help and wisdom of an expert.